Source 5 (Crib 5) is related to upholstery and furniture coverings, and is related to BS 5852. The crib test uses a plank made from wood that is glued together. The fabrics is attached over the lint, then at bottom and a propane-diol is added. The testing unit is then ignited with a match. To decide whether the test has been passed the fabric and the crib are assessed to see whether there is flaming or smoldering on both the outer cover and the interior material. Assuming it does not ignite or smolder, the material will pass the test as no ignition. Similar tests include Source 0 (smouldering cigarette) and Source 1 (simulated match). 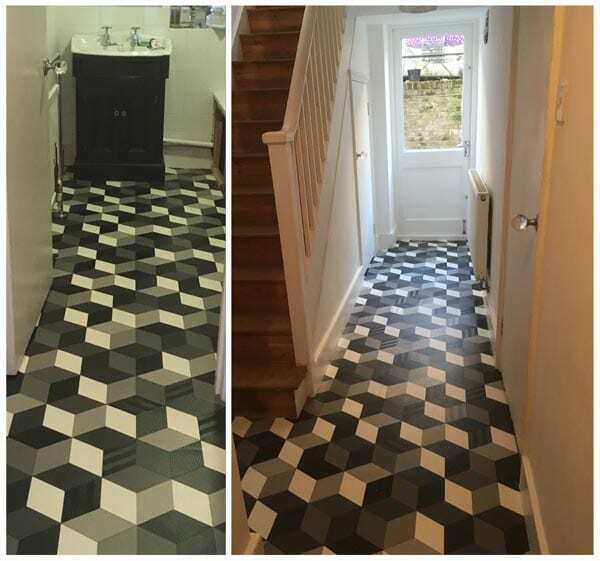 This is an example of vinyl floor laying with a perfect join from a hallway to a bathroom. at Focus we fit all types of vinyl, laminate, and capet. We stock domestic and contract ranges for a variety of uses.